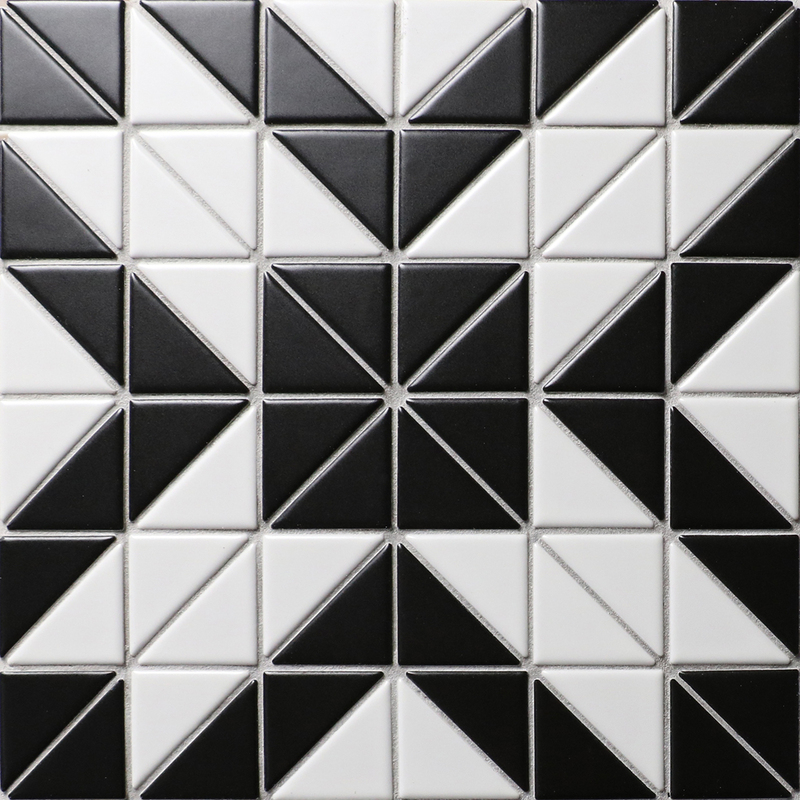 TR2-MWB-DD02H in Magic Cube Series comes in black white 2” triangle mosaic chips, matte finish in innovative pattern design, take it for interior design and make a strong visual effect to space. All is in details! Considering this tile pattern for my restaurant project, is there a quantity discount price? Hi, please email to us [email protected] with quantity you need, we will offer a best price for you. 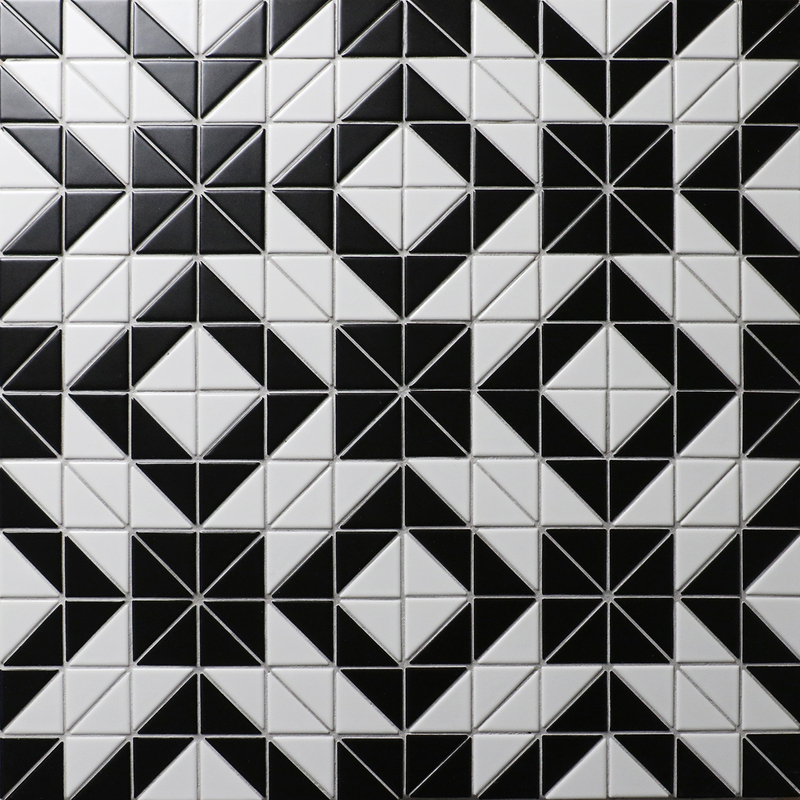 Stylish black and white geometric tile I never see before. It is beautiful! Looking for geometric bathroom tiles, is this suitable for bath backsplash? yes, this tile can be used in backsplash, wall and floor, its pattern will make your space playful! What gorgeous geometric mosaic tile patterns! They look so unique and eye-catching! I must say your product is so nice, keep going!